During the past several years, though, virtualization has made significant in-roads in the SMB market due to a reduction in upfront investment costs, improved reliability and the proliferation of virtualization-dependent cloud services. Virtualization has been changing the business IT landscape since the first hypervisor solution debuted in 1999. The technology initially targeted large enterprises and data center operators that could take advantage of its ability to add capacity and scale without physical components or the power and cooling costs required by hardware assets. During the past several years, though, virtualization has made significant in-roads in the SMB market due to a reduction in upfront investment costs, improved reliability and the proliferation of virtualization-dependent cloud services. Industry research points to the continued growth of virtualization, and, according to social business platform provider Spiceworks’ 2014 State of IT Report, the adoption of virtualization among IT pros is currently at 74 percent worldwide. The Spiceworks report found that just over half of SMBs with fewer than 20 employees are currently leveraging virtualization, while 70 percent of SMBs with 20 to 99 employees and 83 percent of SMBs with 100 to 249 employees have adopted the technology for everything from productivity applications to databases to managed services. This is opening up new opportunities for solution providers and MSPs to expand their businesses and create recurring revenue streams through managed services for virtual environment, including cloud-based backup and data recovery (BDR). There are several important things, though, that MSPs and solution providers need to know about safeguarding their client’s virtual environments when they set out to implement cloud-based BDR. Protecting physical and virtual systems: Many SMBs still use a combination of physical and virtual machines. As such, a cloud-based BDR solution should be able to handle both environments while offering simplified management, unified backup and replication, deduplication and the ability to recover data from any location. A unified solution that allows for backup interoperability between physical and virtual systems makes BDR within hybrid infrastructures easier to manage and can offer greater flexibility and improved efficiency. Streamlining backups: A cloud-based BDR solution should extend beyond physical workstations and servers to include streamlined backups of multiple virtual machines across several servers to the cloud, a local vault, or both. Reducing downtime and lowering costs: A cloud-based BDR solution should be able to restore virtual machines in an isolated environment on production equipment in order to reduce the downtime and overhead expenses associated with systems restorations and true disaster recovery testing. 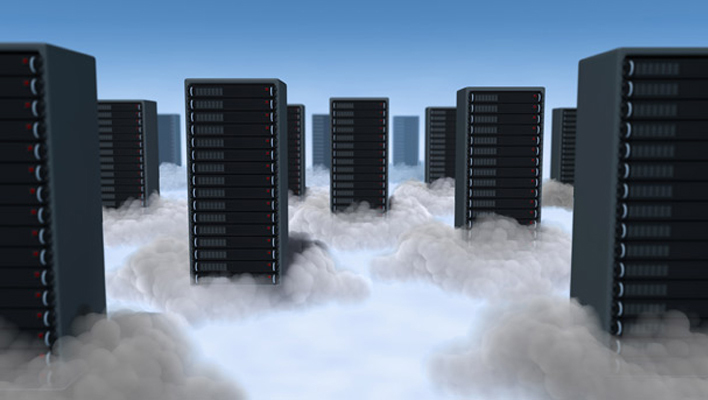 Another key to quick and cost-effective cloud-based backup in a virtual environment is the ability to deduplicate the data in VM backups at the block level to mitigate data redundancy and ensure only block changes are uploaded during the backup process, speeding backup times and maximizing storage efficiency. Prioritizing security: To protect clients’ critical data and applications, solution providers and MSPs need to deliver military-grade 256-bit AES encryption, while providing assurances that only the customer can access the source data. And, strong SSL encryption protocols must cover customer data while it is being transmitted to the data center. Ease of management: From a BDR management perspective, all backups of physical and virtual assets should be accessible through a single, easy-to-use dashboard that can provide real-time client assessments for speedy review and problem resolution. With virtualization technologies penetrating a large portion of the SMB sector, it is critical for MSPs and solution providers to possess the knowledge and expertise needed to successfully protect their clients’ physical and virtual assets. Further, when selecting a cloud-based BDR solution for your clients’ virtual environments, be sure to look for a solution that offers robust management and reporting tools; can deliver technical and sales training, customer support and dedicated account management; pairs with existing remote monitoring and services automation tools; and is delivered by a vendor that is dedicated to offering pricing models and partner engagement provisions that ensure your success and profitability. Neal Bradbury is vice president of channel development and a co-founder at cloud-based backup and disaster recovery provider Intronis. Working closely with the company’s MSP partner community and alliance partners, he is responsible for generating greater business value for the company’s MSP partner community and alliance partners. Guest blogs such as this one are published monthly and are part of MSPmentor’s annual platinum sponsorship. Dark web monitoring is essential for any company that wants to keep its data secure and avoid the far-reaching ramifications of a data breach.